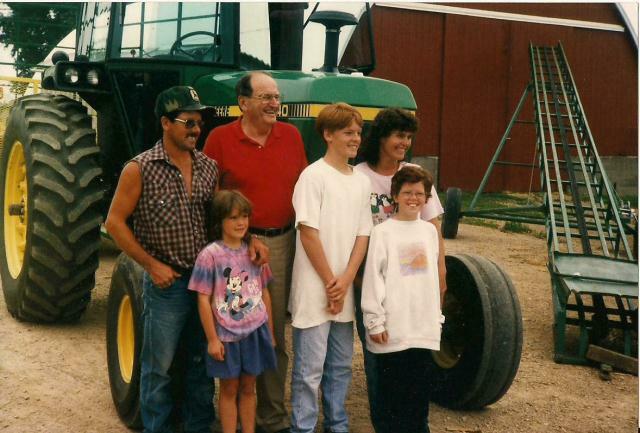 This farm started with Carol and Foster Haskins purchasing it in 1939. Then, John Haskins purchased the farm from his mother in 1959 with 290 acres and purchased another 140 acres in 1983. 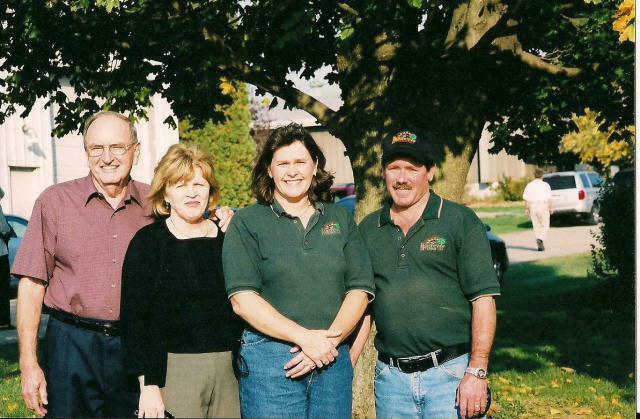 Ron and Terri Abing started with John on a 50/50 partnership in December of 1983. 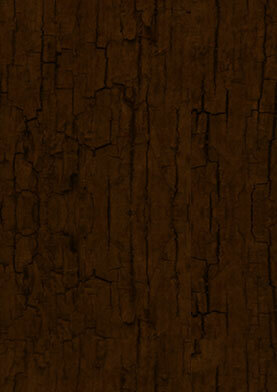 The Abing family consists of Ron, Terri, Jesse, Sarah and Amanda (pictured below). When we expanded in 1999 to 600 some cows, we formed an L.L.C known today as Majestic View Dairy. While the farm expanded in herd size to 1,000 cows in 2003, the land did also. Majestic View Dairy purchased the Abing family farm in 2000 and the neighboring farm in 2001. They have also rented additional land; cropping 2,000 total acres in 2005. As of 2015 Majestic View is operating 4,200 acres, with 2,900 of that being tillable, rest in pasture, woodlands, and buildings. The 2,900 cropping acres consist of 900 acres of established hay, 300 acres of new seeding, 1,300 acres of corn and 400 acres of soybeans. Of the 4,200 total acres, 2,400 is owned by Majestic View, Ron and Terri Abing or John and Peg Haskins. Majestic employs 28 people consisting of 14 part-time and 14 full-time. Many of the part-time help consists of high school and college students. There are many employees that have been at the dairy 10 or more years. Also, there many family members here at the dairy, including the two Abing daughters, Ron's brother, nephew and a son-in-law that helps part time. 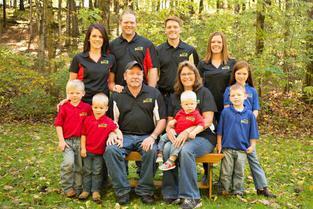 Five future farmers include Ron and Terri's grandchildren ranging from ages 1 to 9 years of age!